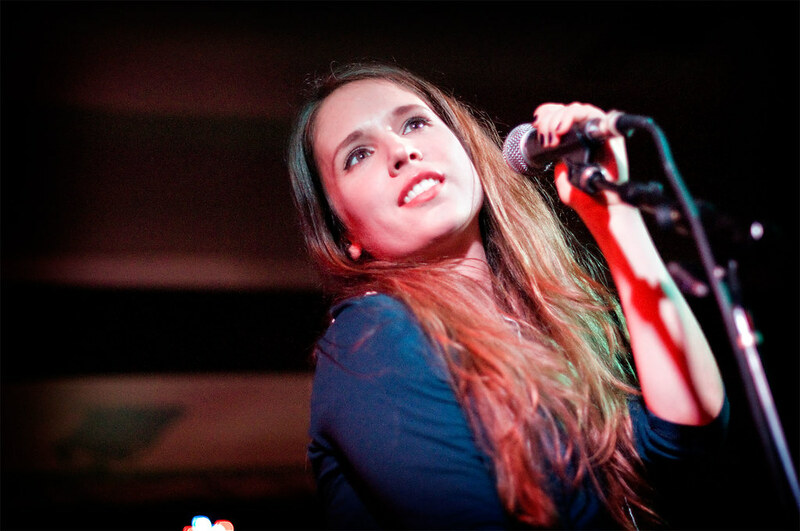 Monica Birkenes of Mr. Little Jeans performs at Filter Magazine's Culture Collide last year. Santa Monica's Twilight Concerts at the Pier announced their full lineup that features Surfer Blood, Jimmy Cliff and The English Beat. I'm excited about Mr. Little Jeans AND because it's FREEEEEE!. Interestingly, lead singer Monica Birkenes is not a man, nor is munchkin little, and to bottom it off, was not wearing jeans. That was a realization inner laugh that gave her instant charming character. The songs have a steady fast tempo, but Birkenes' vocals sound like an intimate acoustic session sped up to a dance beat rhythm. It is different, but has a struggle to it. The songs conjure an image of a tiny yellow rowboat persistent to survive and row beyond a continual barrage of foaming high and low ocean waves. Her vocals rise, smoothly dip, and have splashes of abruptness. Oddly, this metaphor was instilled before reading the biography about Birkenes growing up in a seaside town where her father built catamarans. It seems that the childhood sounds of her ocean has immersed into her music. Her vocals navigating the surging oceans of emotions. Mr. Little Jeans performs with Gardens & Villa during Indie/Pop night on September 5th.